With National Smoothie Day approaching and many of us slowly beginning to give up on those pesky New Year resolutions, we here at St. Dalfour are going to give you that fresh burst of inspiration you might well need to see it through to the very end. Well, at least till February anyway. So, sip back and digest our simple smoothie motivational spread. Former U.S. Navy Officer William H. McRaven once said that “If you want to change the world, start off by making your bed.” It’s the same ideology when it comes to a New Year resolution. In order to make vast changes, you need to start with the small things before achieving your main goal. 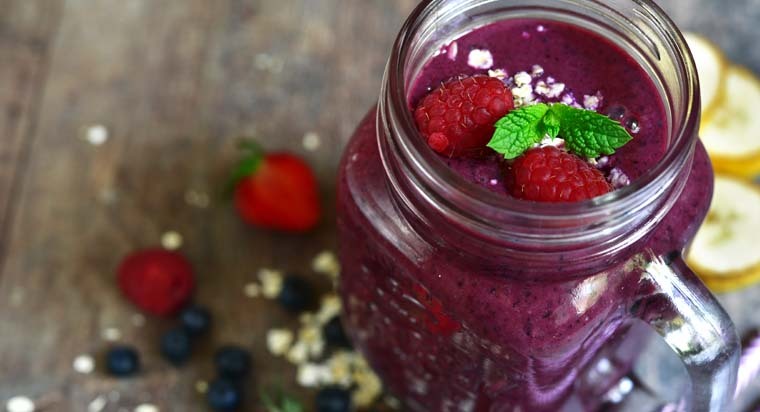 When it comes to eating more fruit and veg, smoothies are a great way to get nutrition into your diet. Quick, easy and portable, making a smoothie with St. Dalfour could not be simpler. Simply add a teaspoon or two of your favourite St. Dalfour preserve, and a few frozen fruits, to low fat yoghurt to give it a nutritious, fruity twist and make eating fruit and veg exciting once again. For more inspirational recipes to help conquer your New Year Resolutions click here.